Dorothy is the creator of She Goes Wear, a workwear, fashion and lifestyle blog. Dorothy came to me as she was heading into full-time blogging and needed to move away from her Pipdig theme to something completely bespoke. Dorothy and I worked together to come up with various directions for her new logo. 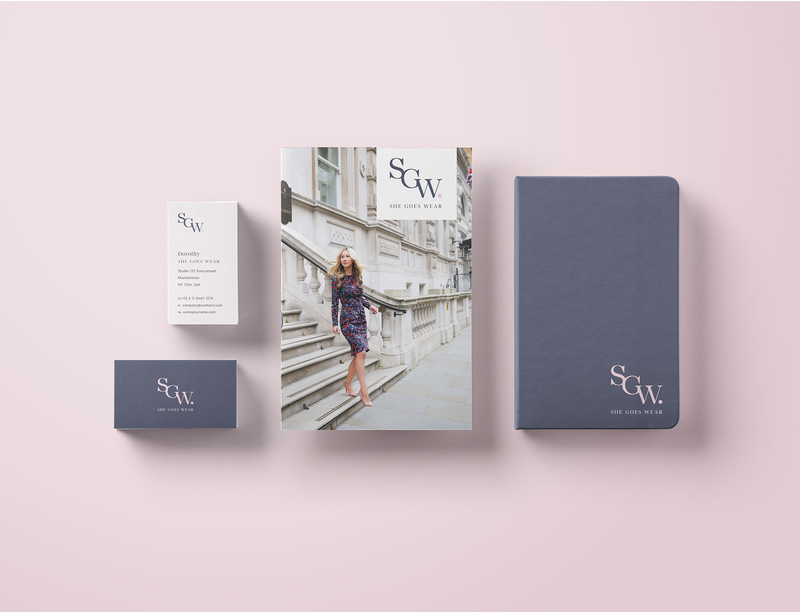 She wanted something classy and sophisticated that would work across multiple channels. We gave her logo a complete overhaul and created a whole new look and feel for her brand ready to roll out across her social media channels and website. 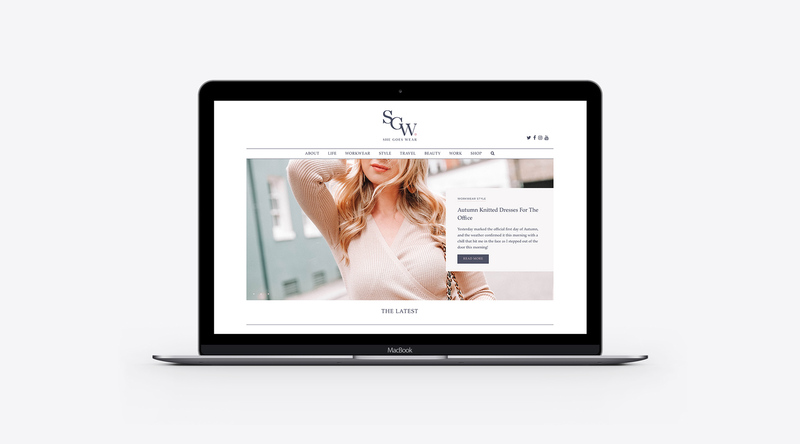 After solidifying the new She Goes Wear brand we began the design of the new blog format. The main goals were to showcase as many posts and areas as possible from the homepage and to re-categorise articles into core areas for easier navigation. The site uses a custom page layout builder that allows Dorothy to create different layouts for posts and pages as she wishes with drag and drop blocks, all pre-styled so all she has to worry about is imagery and content. The site now gets over 3,000 views a month, has had an increase in users of over 50% and increased page views by 87%.